A blurb is a short summary or some words of praise accompanying a creative work, usually referring to the words on the back of the book jacket but also commonly seen on DVD and video cases, web portals and news websites. The concept of a "brief statement praising a literary product" dates back to medieval literature of Egypt from the 14th century. The concept was known as taqriz in medieval Arabic literature. The word blurb originated in 1907. American humorist Gelett Burgess's short 1906 book Are you a bromide? was presented in a limited edition to an annual trade association dinner. The custom at such events was to have a dust jacket promoting the work and with, as Burgess' publisher B. W. Huebsch described it,"the picture of a damsel — languishing, heroic, or coquettish — anyhow, a damsel on the jacket of every novel" In this case the jacket proclaimed "YES, this is a 'BLURB'!" and the picture was of a (fictitious) young woman "Miss Belinda Blurb" shown calling out, described as "in the act of blurbing. 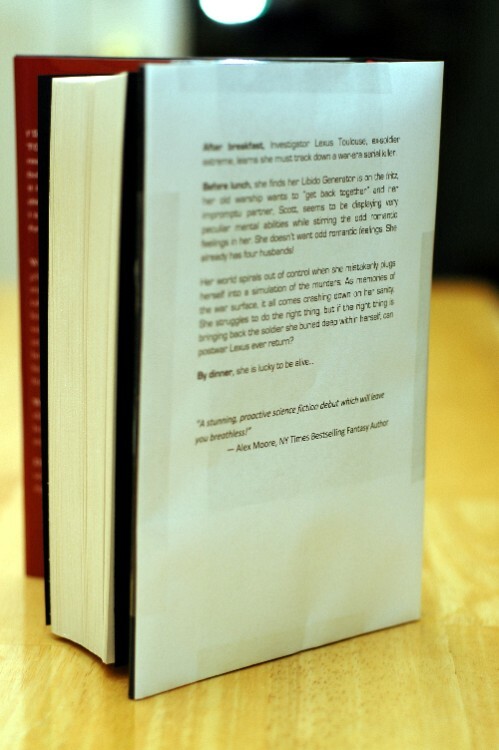 "The name and term stuck for any publisher's contents on a book's back cover, even after the picture was dropped and only the complimentary text remained. A blurb on a book or a film can be any combination of quotes from the work, the author, the publisher, reviewers or fans, a summary of the plot, a biography of the author or simply claims about the importance of the work. Many humorous books and films parody blurbs that deliver exaggerated praise by unlikely people and insults disguised as praise. • Monty Python and the Holy Grail - "Makes Ben Hur look like an Epic"
• 1066 and All That - "We look forward keenly to the appearance of their last work"